The advent of augmented reality technologies used to assist human operators in complex manipulative operations—has brought an urgency to research into the modeling and training of human skills in Virtual Environments. However, modeling a specific act still represents a challenge in cognitive science. The same applies for the control of humanoid robots and the replication of skilled behavior of avatars in Virtual Environments. 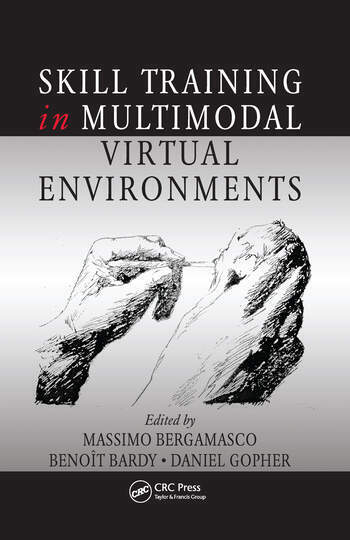 Skill Training in Multimodal Virtual Environments presents the scientific background, research outcomes, engineering developments, and evaluation studies conducted during the five years (2006-2011) of the project SKILLS–Multimodal Interfaces for Capturing and Transfer of Skill, funded by the European Commission under its 6th Framework Programme for Research and Technological Development. The SKILLS project evaluated how to exploit robotics and virtual environment technologies for the training of specific skills. 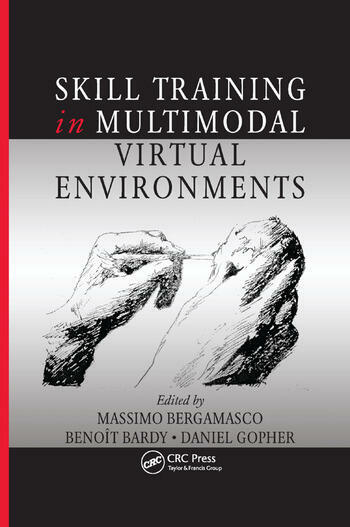 This book details the novel approach used in the study to cope with skill acquisition, setting aside the mainstream assumptions of common computer-assisted training simulators. It explores how the SKILLS approach generated new training scenarios that allow users to practice new experiences in the performance of the devised task. Using a carefully designed approach that balances science with practicality, the book explores how virtual and augmented reality systems can be designed to address the skill transfer and training in different application contexts. The application of the same roadmap to skills originating from domains such as sports, rehabilitation, industrial environment, and surgery sets this book apart. It demonstrates how technology-oriented training conditions can yield better results than more traditional training conditions.